A big thank you to Dave for replying, but my search will have to continue. Dave only had reel bar for two line kite. I need for four line. 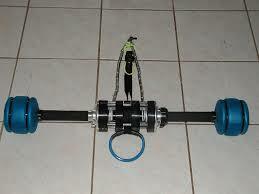 If you are seeking a 4line Reelbar, I think you may be looking in the wrong direction. Reel bars were originally designed for use with Coreys kites only and later adapted to early 2line inflatable kites. Personally I've never seen a 4 line Reelbar, although in Corey's mad scientist barn, there could be something of that nature. Or maybe check in with Mark Ribkoff. If my memory serves me correct, the Flowbee bar was the only bar made for use with 4 lines and I can't recall ever reading a review that said it worked well except for launching. Personally I've never seen a 4 line Reelbar, although in Corey's mad scientist barn, there could be something of that nature. Or maybe check in with Mark Ribkoff. Do you know how I can find Corey? Who is Mark Ribkoff, and where can I find him? The flowbee bar is the one that looks best imo, but I believe there where others out there too. Was the Unreel bar 2 or 4 lines? Wed Apr 10, 19 11:27 am . I had a 4 line reel bar. Can't remember a whole lot about it other than the center lines never rolled up evenly. Pretty sure it was a Ribikoff design. Didnt work really (no offense Mark, it was a brilliant bit of engineering) all I have left is the bike brake. I was waiting to get into kiting for a good self launching system and that seemed like the earliest attempt at addressing the four line problem. Had to be '97 or '98. Wed Apr 10, 19 12:52 pm Re: . What do you suggest? Should I make a web site for it, or just a thread in a forum? If forum, wich one? Seems to be a lot of Kiteforums. Also not sure how interesting this is for others. I'm not trying to do anything spectacular like Peter Flynn or Don Montague. My ambition is not to optimize boatkiting. 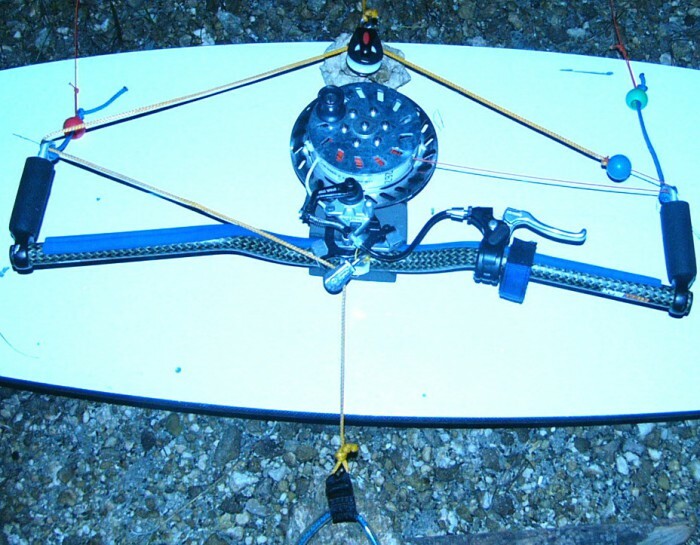 I just want to make kite a propulsion option on a wide range of boats with of the shelf kites. So it has to be simple (and cheap). I do think I know how to build a lauch/retrivial system at low cost. 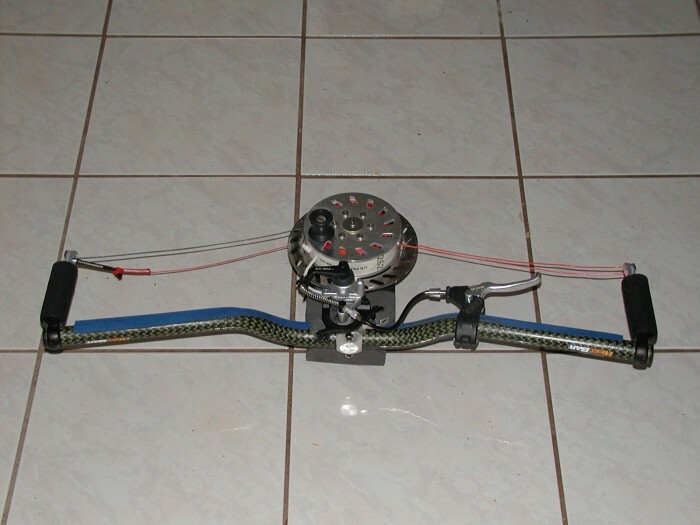 But I'm a total noob with kites, and would therefore prefer to start with a reel bar that is built by someone that knows what they are doing even if it's a long time ago. You see, boat is atm the only option for me to learn kiting. Where I live it's to cold to learn kiting in the water, and to late in the year to go snowkiting close to home. No suitable places for buggy kiting either. Do you remember the name of that bar? Looks to me like the lines are all rolled on the same drum here. Is that correct? If so, I guess the bar would have been good if the lines were seperated on different portions of the drum (or 4 drums)? Text me your number, and I'll call to discuss. I don't kiteforum much, but my buddy Kyle tracked me down for this one. Hats off to you guys that went through all of the early gear advancements. I started with bow (remember that term?) kites in 2006. I missed a lot of trials and tribulations. Simple and Cheap are two words that usually result in broken and injured when it comes to kiteboarding. When I say simple I mean it as in "keep it simple stupid". No more moving parts than needed. And by cheap I mean of the shelf components instead of having something custom made. You're right, my boat is pretty much a viking boat. 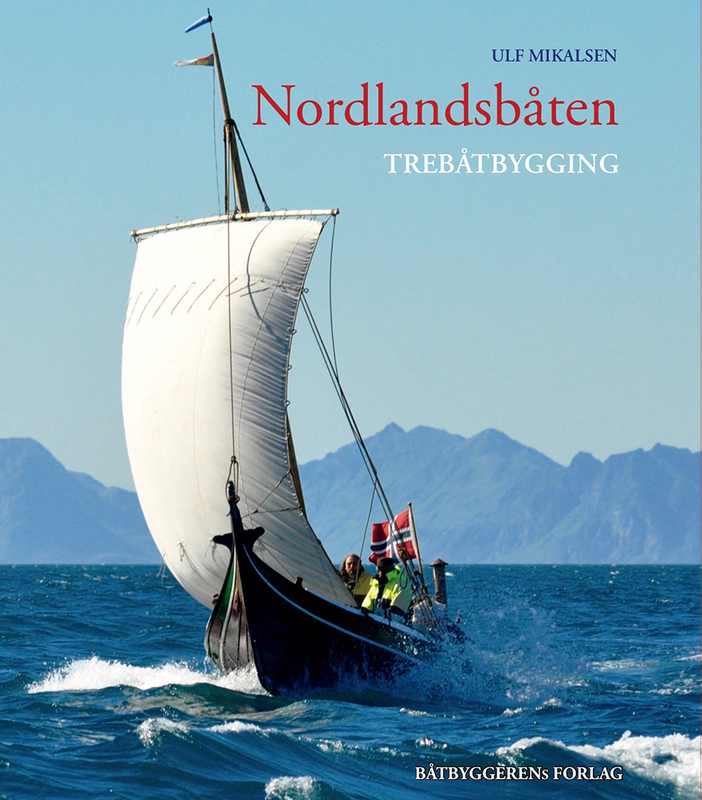 It's the traditional boat along much of the coast of Norway. If you come here, I'll take you sailing in it. Plenty of those fish in the video here too, and they can get a lot bigger. 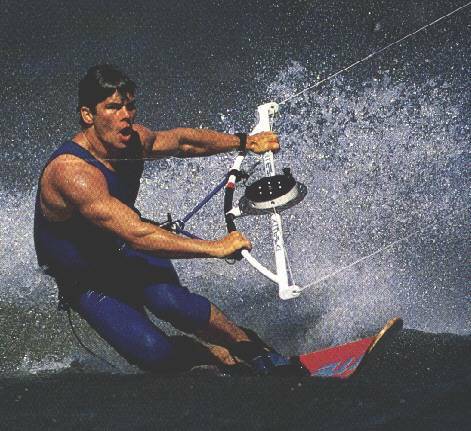 Edit: That boat is fun as it is, so boatkiting is for another boat.